Melbourne has taken the top spot for a seventh time as the world's most liveable city and come rain or shine, there’s always a good reason to explore Victoria's capital - even if you’re only here for two days. This city boasts attractions, eateries and hangouts that after just a little taste will have you longing to come back for more. In my three years of living in Melbourne, I’ve played ‘unofficial tour guide’ to countless friends and strays visiting for a few days or just passing through and in need of a ‘local’ to show them around. So you’ve landed in Melbourne and if you’re a Brit like me, then you’ve already noticed its similar weather to London. Nothing alike in summer, but certainly that familiar overcast grey during winter – a trait both cities share. But don’t let that deter you – the city has some seriously unique sights, phenomenal food, and not forgetting its world-renowned coffee culture. Here are my ‘must dos’ with 48 hours in the city you won’t want to leave. What I love most about living in Melbourne is that you can always be a tourist in your own city. Whether it’s an outdoor concert, seasonal market or museum – there’s always something going on. This is especially true in the summer months where, more often than not, every weekend is filled with events and gigs. Even better – most of them are free too! The National Gallery of Victoria, Australia largest and oldest Art Museum and known locally as the NGV, has free entry and paid exhibitions throughout the year. Located just across the road from Melbourne’s beautiful botanical gardens, the gallery’s collections range from modern art and design way back to ancient indigenous artifacts from Australia and around the world. Its air-conditioned too, so a great option to escape the city heat for a while. Another favourite (and free!) go-to when showing people around my city is the Australian Centre for Moving Image (ACMI). It’s got the best free interactive exhibits showcasing the rich journey of Australian media. Great for geeks and families alike. In November, keep your eyes out for the impressive Night Noodle Markets, located on Birrarung Marr, next to the river behind Fed Square. The markets feature hundred’s of stalls selling all kinds of Asian treats, free live music and heaps of places to sit and enjoy the evening. This is a ‘cashless’ event; so don’t forget your cards. If markets are your thing, there’s more below. There is so much street art in Melbourne. Every back-alley and side-street seems to be covered in impressive bright murals, colourful shapes, portraits and political statements. If you’re here to find some artistic inspiration (or just to take some nice photos) then head down to Hosier Lane, not too far from the Forum Theater off Flinders Street. 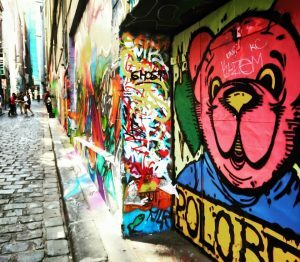 It’s a tourist hot-spot but you’ll see one of the cities most famous laneways with its ever-changing graffiti art. No visit to the Victorian capital is complete, without a walk around a food market – and Melbourne has two of them! South Melbourne Market is for your souvenirs, delicious global food and homemade wares. 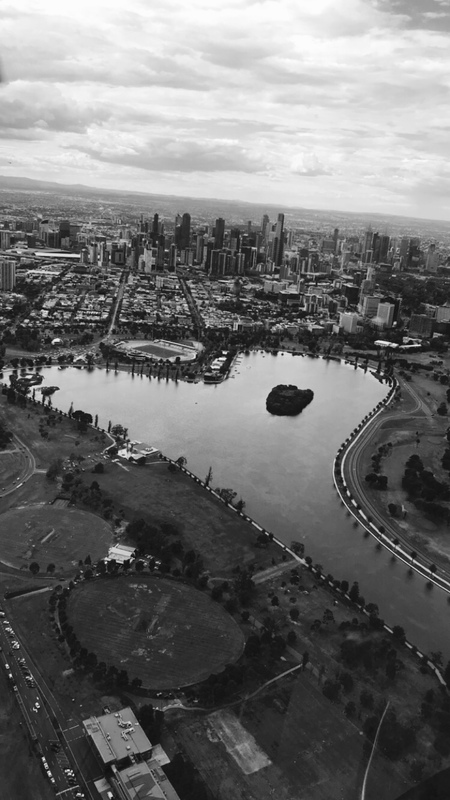 It’s also located super close to Albert Park and Lake – the perfect combination on a sunny afternoon. Open Wednesday, Friday, and weekends. If you catch the popular Tram #96 from the CBD, you can visit the market en route to St Kilda, continuing your day with a walk around Acland Street (famed for its cake shops) and the esplanade. You might even catch a glimpse of the St Kilda Penguins at the end of the Pier! Then there’s Victoria Market – an impressive Victorian-built covered expanse of market stalls. 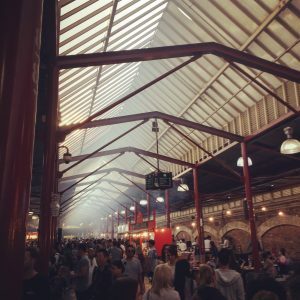 It’s the market’s food hall it’s most famous for, with hundreds of local producers selling everything from cheeses and meats to freshly baked bread. The Winter Night Market here is hugely popular from July to October. I’ll always remember Melbourne for one thing quite literally above all else – rooftops. I’ve never known a city more saturated in options for skyline-drinking and that’s fine by me. 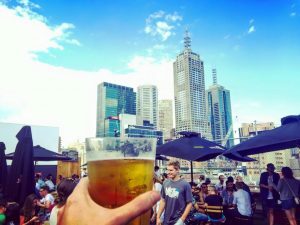 Last summer, an equally cocktail-loving friend and I committed to ticking off as many of Melbourne’s rooftop bars as we could. 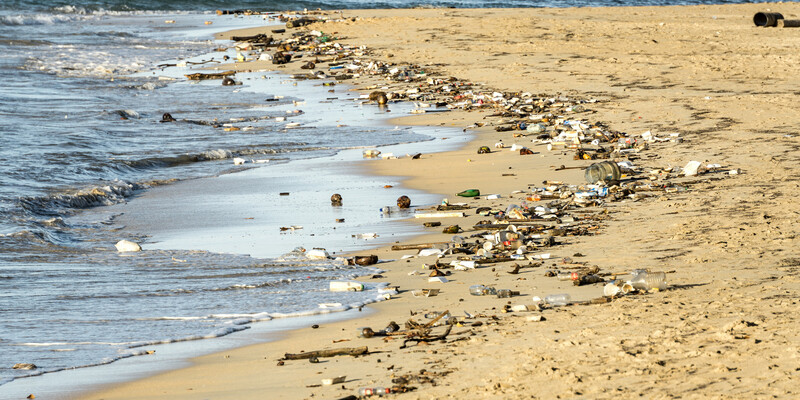 We certainly gave it an Olympic effort and discovered we often returned to the same few – the few which had harnessed the balance between good atmosphere and location. Rooftop Bar – The name says it all really! Big open space, splendid views and a rooftop-cinema playing current and classic movies on selected nights. The Emerald Peacock – No skyline views, but great for groups. Delicious food and lots of room for dancing in the open. Goldilocks – Gorgeous and intimate. Sit-down only with a lively cocktail bar downstairs. The Imperial Hotel – Chilled pub-style with a breathtaking view of the parliament building. Rooftop at The QT Hotel – The priciest on this list, but featuring gorgeous cosmopolitan furnishings and quality cocktails. Very busy on weekends – dress to impress! You’ve got two nights in Melbourne, so for one of them get dressed up and travel south-side to Chapel Street. If you’re driving, then first cruise down this eclectic busy road and take notes of the places you want to head to later. Congratulations, you’ve just completed your first ‘chap-lap’! This street has everything a Melbourne newbie could want, and it’s so easy to lose yourself down this 4km stretch of cafes, boutique fashion stores, restaurants and nightclubs. On more than one occasion, I’ve attended a nice dinner or ‘popped out for one’, which ends with a taxi home at 5am the following day thanks to an abundance of late-night options here. Personal favourites include Buddhas Belly (for $5 happy hour), Morris Jones (for a delicious meal and a bottle of wine), then maybe OneSixOne (for a late-night dance on their light-up disco floor). The head might be a little heavy this morning, which makes it the perfect time to experience one Melbourne’s famous breakfasts. 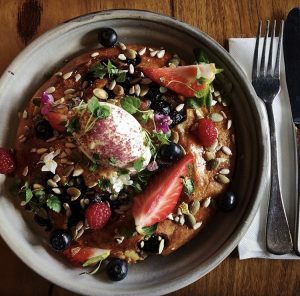 An online search will always suggest the city’s better-known morning institutions, like Hardware Societé in the CBD, The Kettle Black in South Melbourne or Top Paddock in Richmond. All fantastic choices and your Instagram followers will be envious thanks to their gorgeous interiors and presentation. But do expect to wait a while for a table. Personally, I try to stay local when I pick my breakfast spots. So being from Brunswick, I regularly park myself on a table at Wide Open Road for their insanely flavorful smashed pea and avocado on toast. Or for a little indulgence, I’ll check out Lux Foundry for their panko bread-crumbed crispy poached eggs with chili jam. Maybe a Bloody Mary to settle the stomach too. Melbourne leaves a big impression on all who visit here and you can certainly see why it’s crowned the most liveable city seven years straight. Maybe it is the coffee, the street art, or the Melburnians hospitality Itself? You’ll have to make your own mind up. But be careful though – you might end up like me, and stay for good. Make your visit even easier. Buy an MYKI card. You can buy them from the grey machines at train stations. These cards are required when using Melbourne’s public transport network. Taxis are expensive. Catch the SkyBus from Melbourne airport to the city. It’s only $18 and drops you at Southern Cross Station. Tickets are available at the airport or online. Go and explore the suburbs. Collingwood, Fitzroy, Brunswick and St Kilda are all just minutes from the city and are where the true Melbourne spirit can be found. Drink all the coffee you can. Each café is different and you won’t find a better cup of the black stuff anywhere else. Search online for free events in Melbourne, especially in summer. They are a wonderful way to meet locals and are easy on the wallet. Make reservations at restaurants you plan to go to. Melbourne is a foodie’s heaven and popular places book-out quick, especially on weekends. For nightlife, the south-side is a bit more upmarket and pricey, whereas north-side is all about gritty bars and pubs featuring live music and alternative culture. Take your pick. If you’re in Federation Square, seek advice and pick up some useful booklets at the Melbourne Visitors Centre. It’s friendly staff are dotted around the city (dressed in red) and are happy to help and recommend. 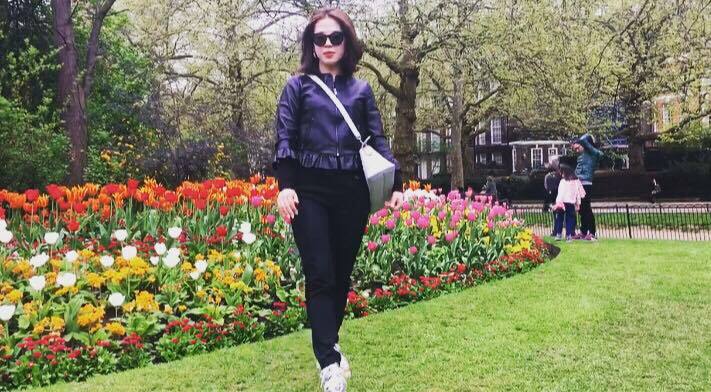 “Four seasons in a day” uttered fondly by locals is completely true – so keep a jacket handy. Those spring evenings atop one of the city’s rooftop bars can turn chilly once the sun sets. If you’ve got more than 48 hours here then why not escape Melbourne for the day? The Yarra Valley Wineries or The Great Ocean Road are two famous day trips and only hours from the city.the city. PoliticsWhat Cambridge Analytica tells us about our dangerous love of technology. Being a bred and local Melburnian, Joe Patrick has highlighted the many reasons why I love my liveable city. This has given me goosebumps and what a fabulous read. The advice given is awesome for first time travellers to Melbourne and returning travellers. This article is bang on!